Just call me an I-Pad owner. I seldom get involved with the newest gadgets. BUT. . .here I am with one. I love it! Yes, it was expensive. No, it was not needed, but I wanted it. I started saving for it last summer when I saw son's. I had enough in February, but I decided to wait until the new one came out. Figured I could save a few dollars on the old one or get the new bells and whistles with the new one. New one it is. Love the new bells and whistles. I just wanted to thank you for running this Wildflower BOM club. I never would have attempted this by myself. We are leaving for a 6 week trip this week, and I wanted to get this done so that I wouldn't be worrying about having to get more fabric. This top came out really well and I learned a lot by completing it. I've attached some pictures of the finished top. 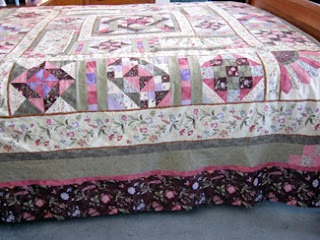 When I get back, I'll take it to our local LAQ'er to get it quilted. Here are her pictures. G. it is really beautiful! 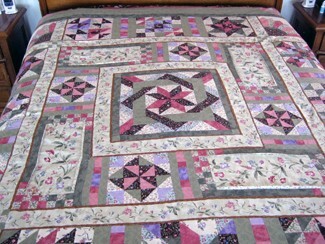 I will be excited to see it quilted and bound. Now I just need to get busy to finish mine, too. 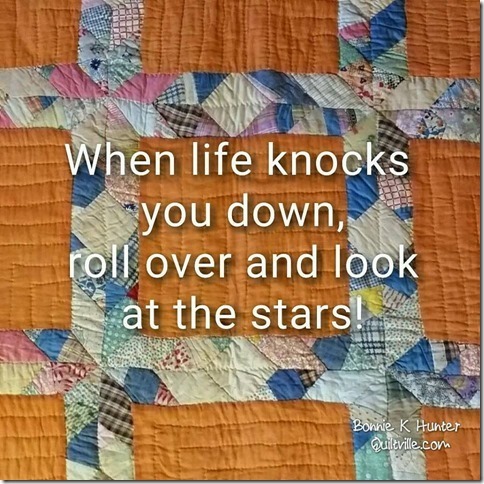 So I have been spending several days going through all my quiltings books. I have a lot of them. I need more storage space for fabric, so I thought now is the time to offer these out to other quilters. They are all used, but some of them you cannot tell anyone even looked through them. The pricing varies on them, but they are all $5 or less. Great buys and easy to get. 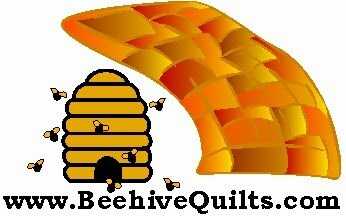 It takes a while to list products on the website, so keep checking back to see what we have. Also they are all one of a kind, except two. Somehow I wound up with two copies. 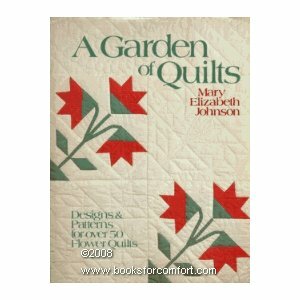 A Garden of Quilts by Mary Elizabeth Johnson is a beautiful, color photo book. The quilt designs and patterns are of the more traditional kind, as you can tell by the one featured on the dust cover. The book is in great shape. ﻿You can get it here. 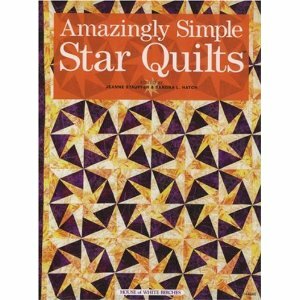 Amazingly Simple Star Quilts from House of White Birches is a great resource for beautiful star quilt designs. Full page colored pictures in this hard cover book. 37 different patterns. We only have one. Purchase it here. 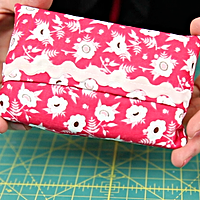 I see patterns and ideas on how to make easy tissue (Kleenex) holders to carry in your purse or car. Here is one that is easy to follow and very easy to make. I thought you might like to make one, too.